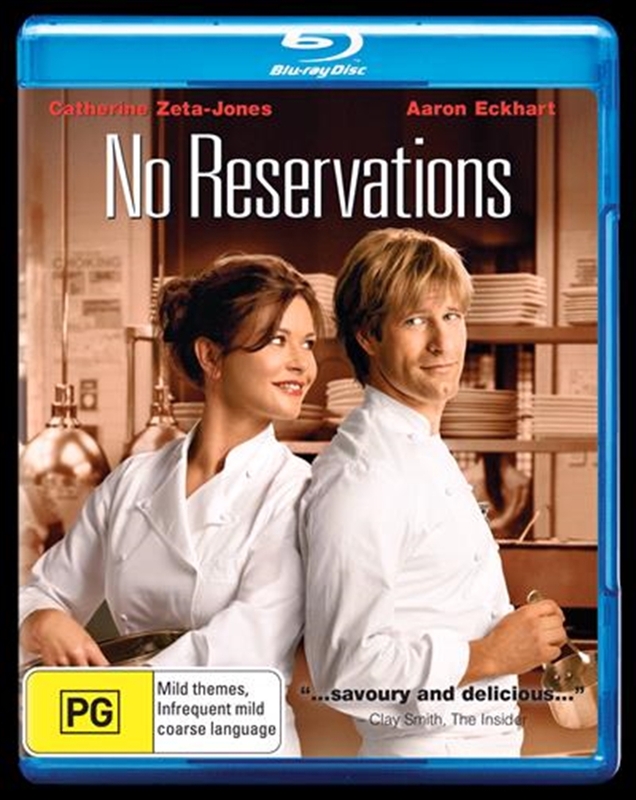 Master chef Kate Armstrong (Academy Award winner Catherine Zeta-Jones) lives her life like she runs her kitchen at a trendy Manhattan eatery with a no-nonsense intensity that both captivates and intimidates everyone around her. Kate's perfectionist nature is put to the test when she "inherits" her nine-year-old niece Zoe (Abigail Breslin), while contending with a brash new sous-chef who joins her staff. High-spirited and freewheeling, Nick Palmer (Aaron Eckhart) couldn't be more different from Kate, yet the chemistry between them is undeniable. Rivalry becomes romance, but Kate will have to learn to express herself beyond the realm of her kitchen if she wants to connect with Zoe and find true happiness with Nick. The perfect blend of heart-warming ingredients mixed with the gorgeous New York locations and a good dose of Hollywood's hottest stars makes this a must-see DVD for the holidays.